A woman in Saudi Arabia has been arrested for going out without her abaya, a traditional body covering for Muslim women, and now faces being lashed. 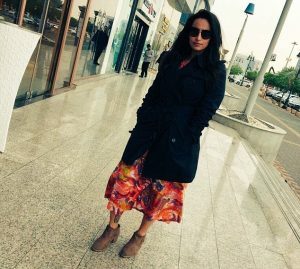 Malak Al Shehri, shared a photograph of herself without a hijab or abaya on a street in Saudi Arabia’s capital city, Riyadh. Saudi Arabia enforces a strict dress code for women in public, does not allow women to drive and prohibits the mixing of sexes. Al-Sarq newspaper reported that the woman was detained after a complaint was filed by the religious police. All women in Saudi Arabia are legally required to wear an abaya, the full-body covering, and Muslim women are legally required to wear a headscarf or hijab.